EUR/USD: Neutral (since 21 Aug 18, 1.1485): EUR is under mild downward pressure, could test the 1.1330 support. We have held the same view since last Wednesday (16 Jan, spot at 1.1415) wherein “EUR is under mild downward pressure and could test the 1.1330 support”. Since then, EUR has edged lower and on last Friday, it made a ‘fresh’ low of 1.1350. The price action reinforces our view and we continue to see chance for 1.1330 to be tested. A dip below this level is not ruled out but in view of the lackluster momentum, the next major support at 1.1300 is unlikely to yield. On the upside, only a move above 1.1460 (no change in key level) would indicate that the current mild downward pressure has eased. GBP/USD: Neutral (since 21 Aug 18, spot at 1.2795): GBP is still trading within a broad range. GBP surged strongly last Thursday (17 Jan) and edged above the major 1.3000 level, touching a high of 1.3006. We indicated on Friday (18 Jan, spot at 1.2975), a “NY close above 1.3000 would suggest the start of a sustained rebound” in GBP. However, GBP did not move above 1.3000 again as it fell sharply from a high of 1.2994 last Friday. The build-up in momentum fizzled out quickly and it appears that GBP is not ready for a sustained up-move just yet. In other words, the current movement suggests GBP is still trading within a broad sideway trading range for now, expected to be between 1.2750 and 1.2980. AUD/USD: Neutral (since 13 Sep 18, spot at 0.7170): Consolidation phase in AUD could persist. We have held the same view since last Monday (14 Jan, spot at 0.7205) wherein the “recovery in AUD has room to extend to 0.7270”. Since then, AUD has traded mostly sideways and the prolonged consolidation has resulted in a loss in upward pressure. From here, the weakened underlying tone suggests AUD is unlikely to threaten 0.7270. The recent consolidation phase would likely persist for a while more. In other words, AUD is expected to continue to trade sideways, likely between 0.7090 and 0.7230. NZD/USD: Neutral (since 07 Dec 18, 0.6880): NZD under mild downward pressure, could grind lower to 0.6710. We highlighted last Thursday (17 Jan, spot at 0.6775) that “NZD is under mild downward pressure and could grind lower to 0.6710”. NZD has weakened since then but not by much and the 0.6710 level is still not tested. However, there is no change to our outlook and as the underlying tone has weakened further, a dip below 0.6710 would not be surprising. That said, we do not expect the next support at 0.6675 to come into the picture for now. On the upside, only a move above 0.6805 (level previously at 0.6850) would indicate that a short-term bottom is in place. USD/JPY: Neutral (since 09 Oct 18, 113.10): Scope for USD to test 110.00. We have expected USD to strengthen since last Thursday (17 Jan, spot at 109.00) but were of the view that sustained move above 109.40 is unlikely. We added, “only an unlikely NY closing above 109.40 would suggest USD is ready to challenge 110.10”. 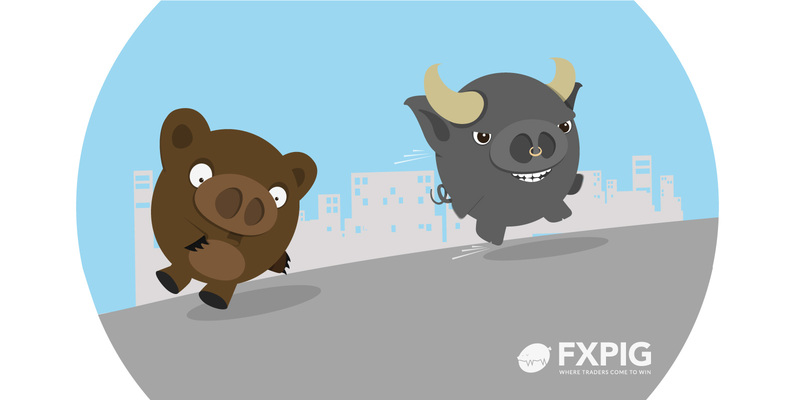 USD touched 109.88 last Friday before ending the day on a firm a note at 109.76 (+0.48%). While the advance appears to be running ahead of itself, there is scope for USD to test 110.00 in the coming days (odds for a move to the next resistance at 110.40 are not high). That said, in order to maintain the current build-up in momentum, USD has to extend its gain soon (say within these couple of days) or the current upward pressure would ease quickly. Conversely, a move below 108.90 would indicate a short-term top is in place.